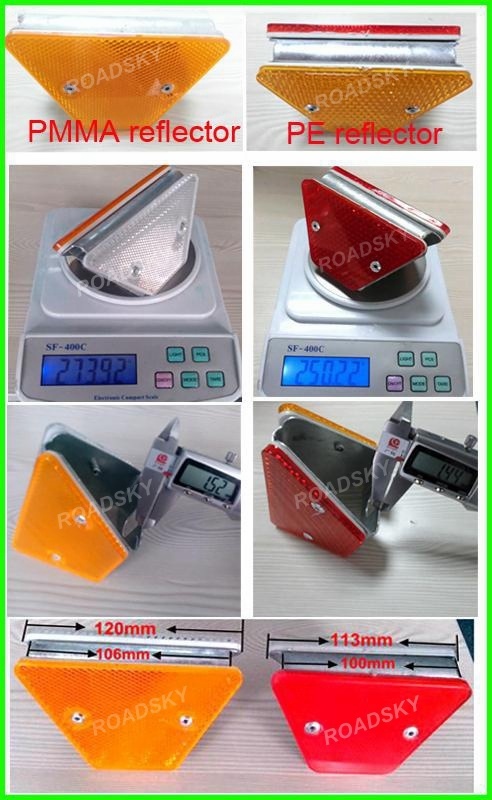 120×70×50 mm and 113×70×50 mm trapezoid delineator have some differences in reflector、weight、the thickness of bracket 、 size and reflective distance. 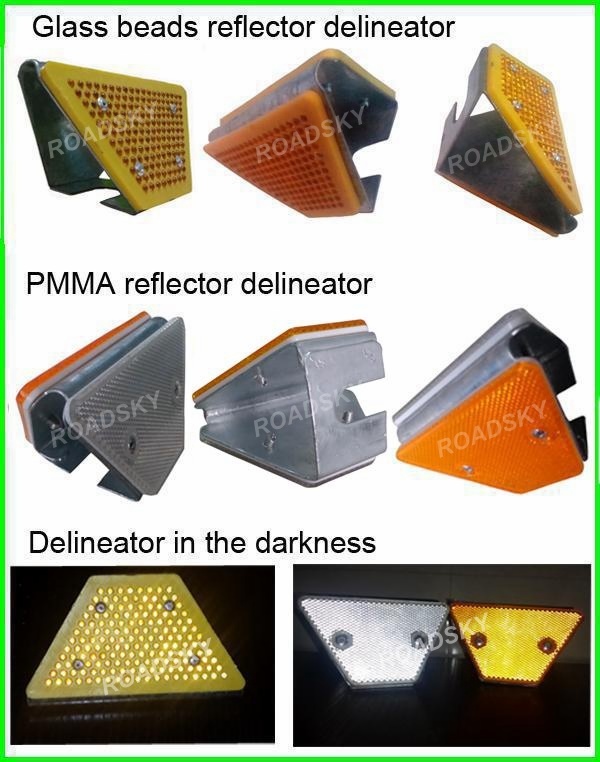 120×70×50 mm delineator uses PMMA reflector, its weight is 270g, the thickness of bracket is 1.5mm, its reflective distance is about 1000m. 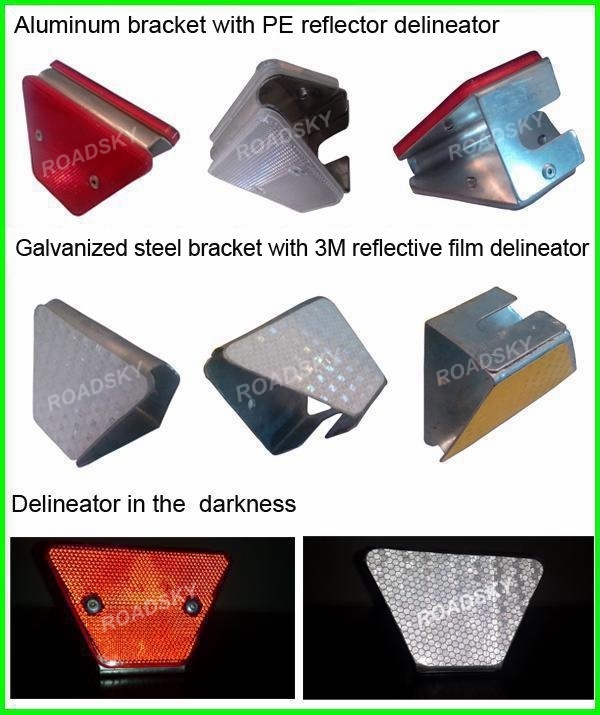 113×70×50 mm delineator uses PE reflector, its weight is 250g, the thickness of bracket is 1.4mm, its reflective distance is about 500m. 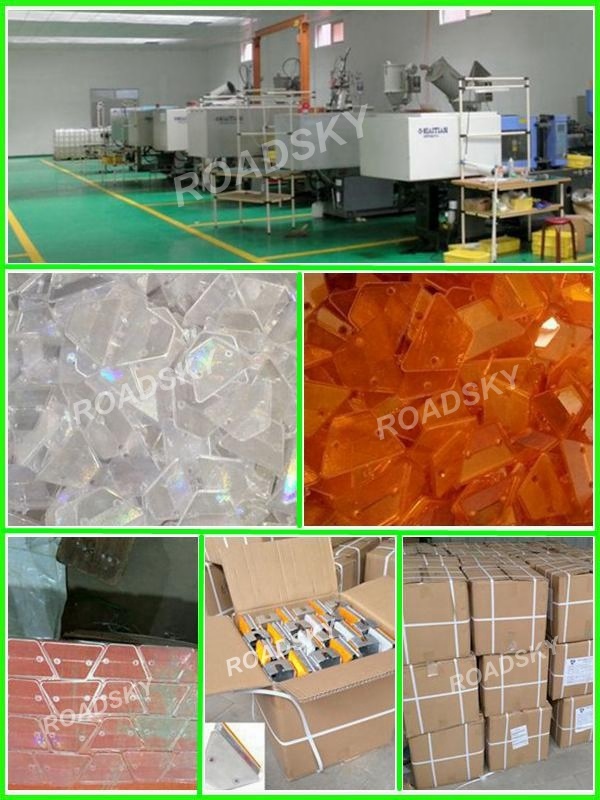 We have two series of 120×70×50mm trapezoid delineator, CTX Series PMMA Reflector Trapezoid Delineator and CTXB Series Glass Beads Reflector Trapezoid Delineator. 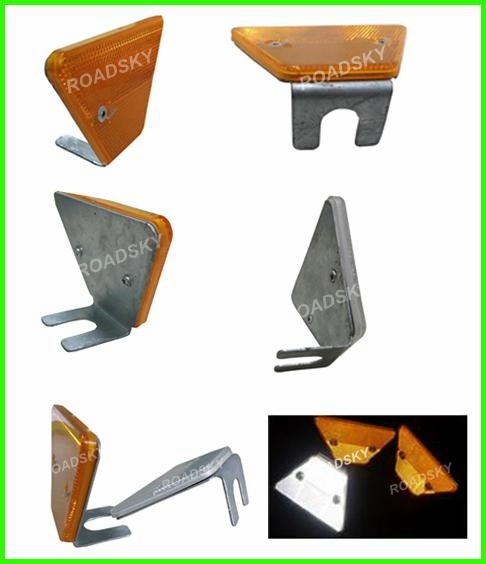 We have four series of 113×70×50mm Trapezoid Delineator, ETX Series and HTX Series Hot Dip Galvanized Steel Bracket Trapezoid Delineator, ETA Series Aluminum Bracket Trapezoid Delineator, ETXF Series Hot Dip Galvanized Steel Bracket and Reflective Film Trapezoid Delineator. 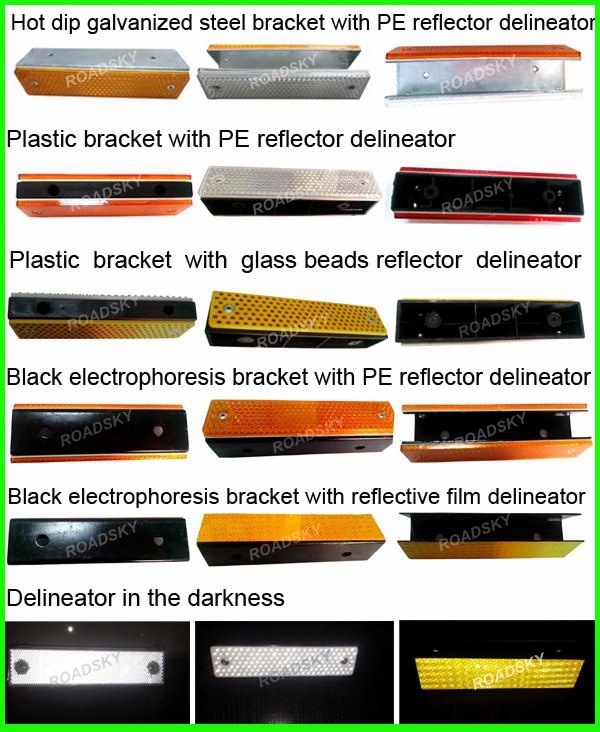 We have five series of rectangle delineator, FX Series Hot Dip Galvanized Steel Bracket Delineator, FP Series Plastic Bracket Delineator, FB Series Black Electrophoresis Delineator, FBF Series Reflective Film Delineator and FPB Series Glass Beads Delineator. 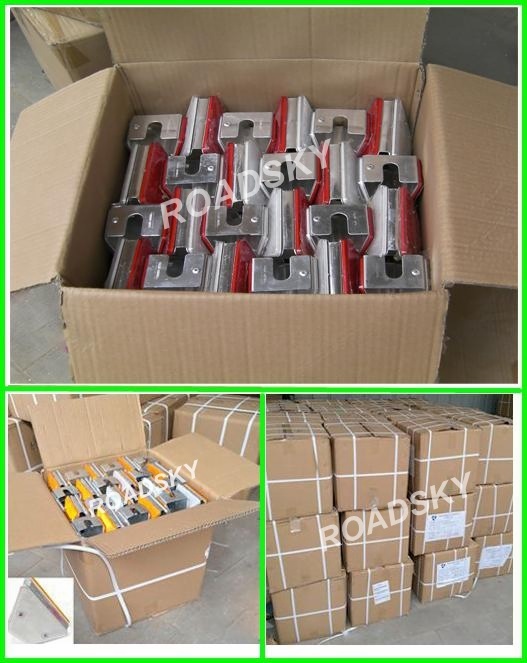 We have three series of single bracket delineator, FES Series Hot Dip Galvanized Steel Bracket Delineator, FBS Series Black Electrophoresis Bracket Delineator, FBBS Series Glass Beads Delineator. 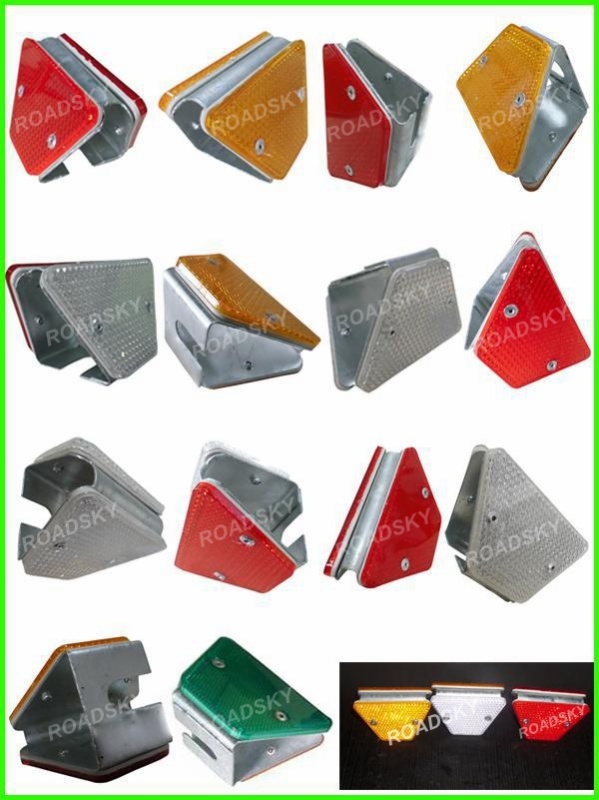 We have two series of round delineator, RP Series Plastic Bracket Delineator and RXF Series Steel Bracket Delineator. 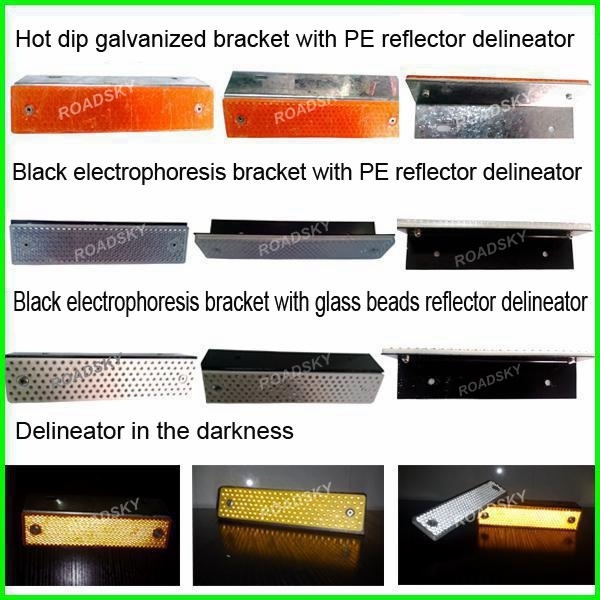 1.You can choose Hot Dip Galvanized Steel Bracket、Black Electrophoresis Bracket、Plastic Bracket or Aluminum Bracket, long life and never rust even in bad weather condition. 4.Good quality, High impact resistance，Flexible, Durable, Anti-aging，UV resistance, Weather resistance. 5.Highly visible, good warning effect. 6.Available in a variety of colors and sizes, can produce according to customers' requirements. T/T, L/C, D/A, D/P, Western Union, MoneyGram, Paypal, Escrow and etc. 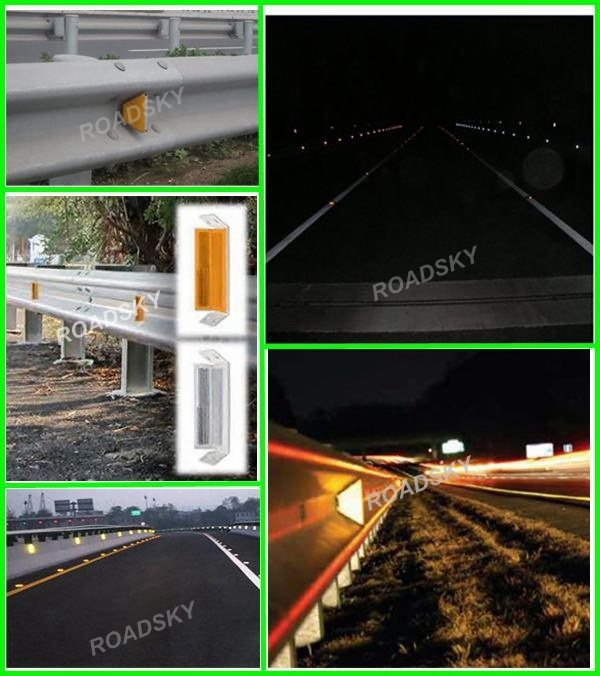 NANJING ROADSKY TRAFFIC FACILITY CO., LTD is a reputable and reliable manufacturer specialized in guardrail delineator and other road safety products for many years. 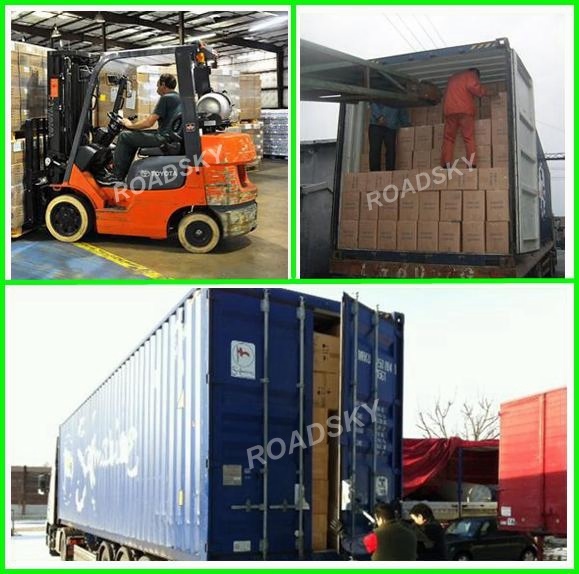 Our products exported to Middle & South America, Middle East, East Europe, Southeast Asia, Africa and etc. 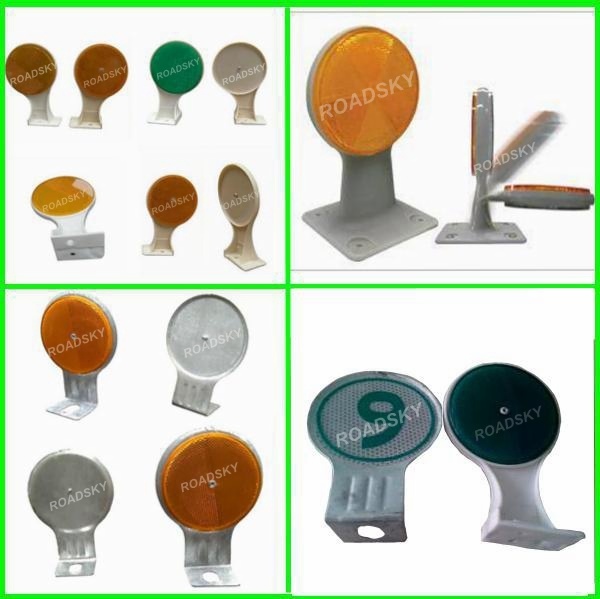 Our products include road reflectors,warning post, rubber speed bumps, traffic cones, rubber car localizer, road studs,traffic sign and other road safety products. 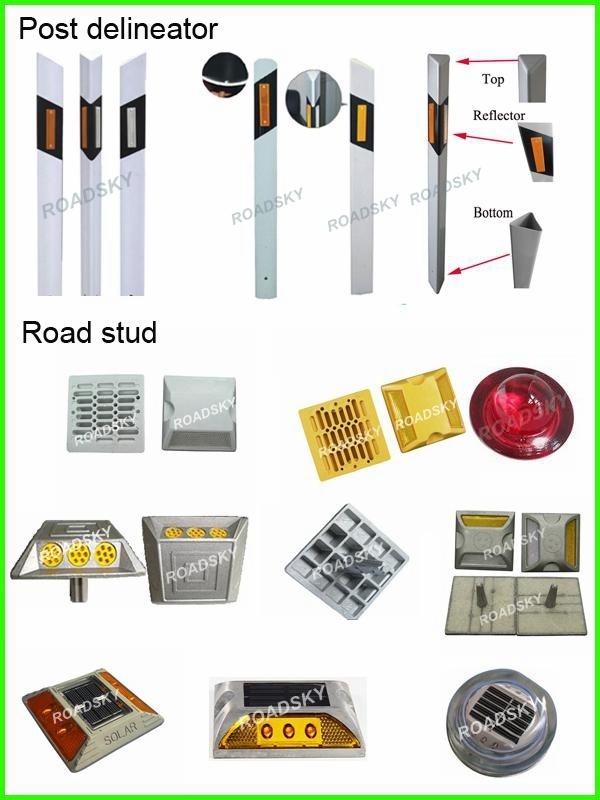 Any interests about road delineator, please feel free to send us inquiry or call us directly, we will be there to serve your needs timely.